In the not so distant past architectural speakers, meaning in-wall and in-ceiling speakers, were reserved only for background music. Simply put, they didn't have the chops for dedicated spaces like theaters, listening rooms, and surround sound systems. While tower speakers have physics on their side, architectural speakers have become increasingly competitive. 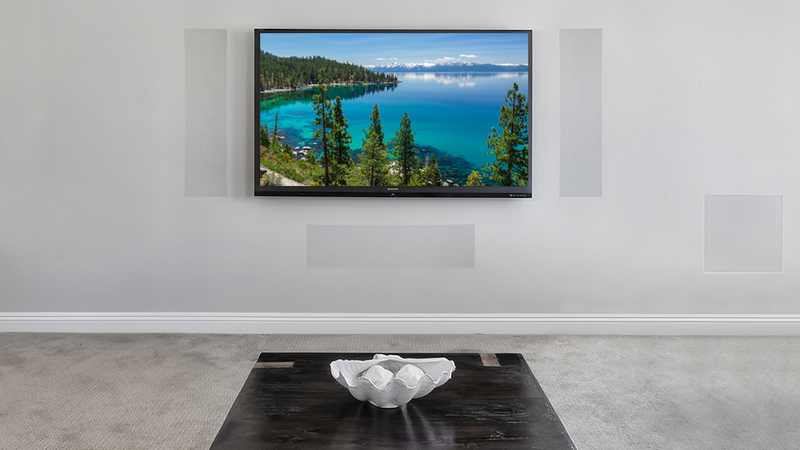 Modern high-end in-wall and in-ceiling speakers are built just like bookshelf or tower speakers, with sturdy MDF (and even aluminum) enclosures designed to maximize performance and minimize sound bleeding from room-to-room. If you have the room, and appreciate the aesthetics, tower speakers are still the way to go. But as dedicated theaters are morphing into multi-use rooms, and family rooms are becoming primary viewing spaces, they don't always fit. Aesthetically, in-ceiling speakers are practically invisible, and in-wall speakers have a minimal effect on the look of a room. Due to this dichotomy between performance and aesthetics, architectural speakers are a necessary evil. There are some incredible architectural speakers now available, many of which can be made to sound better than your local movie theater. Read below for some of our recommendations for cinema quality in-wall speakers, in-ceiling speakers and architectural subwoofers. The Sonance Reference series stands out because of its breadth and consistency. Each main channel option, including the R2 in-wall and R1C in-ceiling has a matching surround speaker. All of these speakers feature the same technology and tonal quailites, so they blend seamlessly. You can combine in-wall left and right speakers with a traditional cabinet center channel and in-ceiling rear speakers, and even an in-wall or in-room Sonance subwoofer to match. No matter which options you choose you will get a consistent, and very high-quality, sound. Add in the Sonance DSP amplifers, such as the 2-750, and the 8-130MKII and you have a system that is better than the sum of its parts. The Monitor Audio CP-IW460X is a 3-way, five-driver speaker featuring a ribbon transducer in place of a traditional tweeter. Opinions differ, but mine happens to be that ribbon tweeters sound sublime. With the grills off the Monitor CP-IW460X look somehow business-like and beautiful all at once, with an aesthetic that seems to me to be a nod towards aviation. With the grills on the speakers are large, but blend well in even a sleek, modern, space. Due to their size they look perfectly at home next to an 85” TV or even a large theater screen. If the size is too much for your space, they work great behind an acoustically transparent screen. 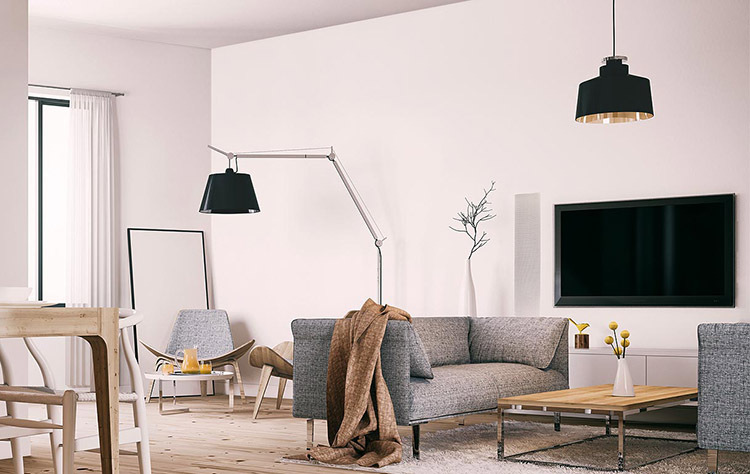 If you are attempting to incorporate good in-wall speakers into a smaller space or family room, our next recommendation might work perfectly for you. The Triad Bronze LCR may be the best all-around theater speaker available, dollar-for-dollar. While it wouldn't be the cheap option at your local big-box retailer, it costs less than a third of what a number of the speakers on this list cost. Even at that low price, the performance is outstanding. Unlike the Monitor Audio CP-IW460X, the Triad Bronze LCR isn't beautiful. In fact, under the grill is a black painted MDF enclosure filled with simple black paper/fiber drivers. In all honesty, they look cheap, but that probably just adds to their value. Triad speakers aren't great to look at, but they are fantastic to listen to, and with architectural speakers that is exactly what we want. To make up for the unassuming cabinet, Triad has a trick up its sleeve. Triad will custom paint the grills of their speakers at the factory to match the room they are going into. They can use paint codes for most major paint suppliers, or we can mail them samples that they will match for us. If you want a performer that offers incredible value, look no further than Triad Bronze speakers. 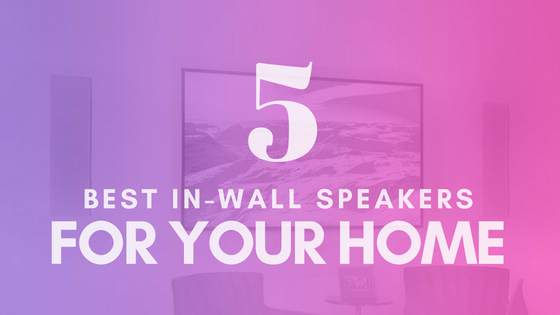 Every manufacturer on this list offers an in-wall subwoofer, and all of them are very good. None of them, however, can match the JL Audio Fathom IWSv2-SYS-113, and there is no shame in that. JL Audio has made a name as one of the premier makers of premium subwoofers, and the IWS series only builds on that legacy. From an installation standpoint, the IWS subs are suspended in the stud cavity in such a way that vibration of the wall is essentially non-existent. JL Audio IWS subs are designed to be installed in new construction, if you are interested in a retrofit architectural subwoofer we'd recommend the Sunfire HRS-IW8 or the Triad Bronze/4 SlimSub. Maybe the most unique in-wall speaker option available is the Meridian DSP520, an active in-wall speaker from England. A powered speaker is one in which the amplifiers are a part of the speaker itself, and the speaker is powered directly via line voltage. Most speakers are powered by a surround receiver, or other external amplifier, and contain passive crossover components. One upside of an active speaker, like the Meridian DSP520 is that the amplifiers can be custom designed to work perfectly with the speaker they are installed in. Additionally, in a digital active speaker like the DSP520 it allows us to maintain a 100% digital signal as long as possible, maximizing sound quality. 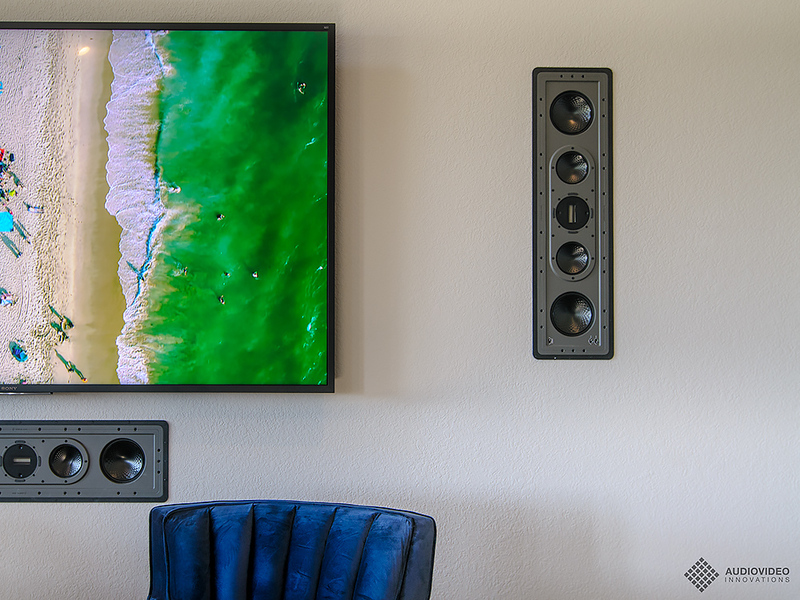 Whether you are designing a new media room or just adding music to your Dallas luxury home, consider modern in-wall speakers or in-ceiling speakers. Whatever your goal and whatever your budget, we can help you find the perfect solution for your space and desires.